Business leaders who traveled with Idaho Gov. Butch Otter on his recent trade mission to China say the trip was a success. KIVI-TV reports that business leaders say they will likely see a lasting impact as a result of the trade meetings. Otter and representatives of the state's milk, potato, wheat and hay industries visited Beijing, Shanghai and Guangzhou between Oct. 28 and Nov. 5 to promote trade between the cities. Otter says personal relationships are important to business deals in China, meaning the trip was invaluable for future deals. Idaho's exports to China totaled $560 million in 2015 — an increase of more than 16 percent from 2014 that makes China the second-largest export market for Idaho. 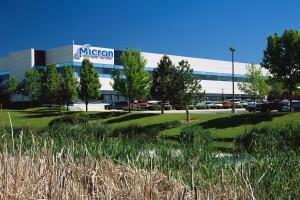 Boise-based Micron is the rumored focus of a takeover offer from a Chinese company. The Wall Street Journal first reported the possible interest from Tsinghua Unigroup, a Shangai company with ties to the Chinese government. Dan Gallagher is a writer with the Journal, and has been following the story. He says Micron’s median share price is $29 a share, but the Chinese company is interested in buying it for $21 a share.